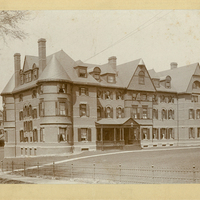 Black and white photograph of the front facade of Dickinson House, Smith College, Northampton, MA. 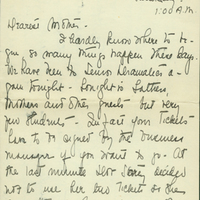 Agnes Bett, Class of 1916, autograph letter signed, dated 13 June 1915, to her mother. 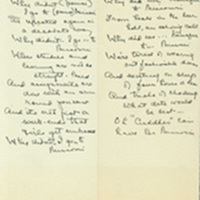 Second page of the letter describes a tennis match at Smith College. Alfred Churchill, copy of typed letter signed, dated 23 January 1918 to Josephine Clark. 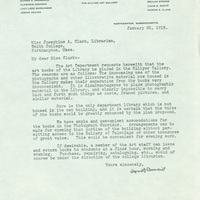 Letter from Professor Alfred Churchill of the Art Department to Smith College Librarian Josephine Clark requesting that the library's art books be moved to the Hillyer Gallery library. 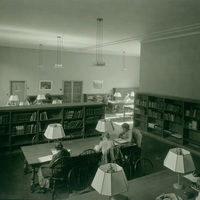 Hillyer Art Library, Smith College, November 1933. Students studying at tables in the art library. Photo from The 1938 Mississippi Health Project." 4th Annual Report of the Alpha Kappa Alpha Sorority, December 1938. 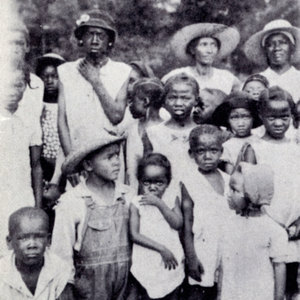 Mothers and children waiting to be treated at the Alpha Kappa Alpha Sorority traveling health clinic, Mississippi, 1938. 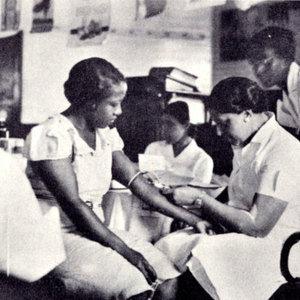 Photo from The 1938 Mississippi Health Project." 4th Annual Report of the Alpha Kappa Alpha Sorority, December 1938. 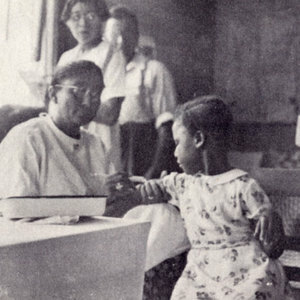 Shows group of mothers and children standing outside"
Dorothy Boulding Ferebee giving blood test to a woman at the Alpha Kappa Alpha Sorority traveling health clinic, Mississippi, 1938. Photo from The 1938 Mississippi Health Project." 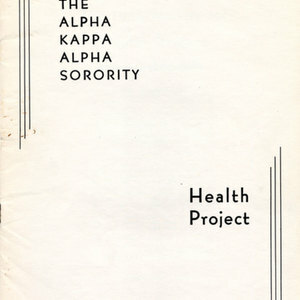 4th Annual Report of the Alpha Kappa Alpha Sorority, December 1938. Shows Ferebee drawing blood from young woman."